I have access to all of the searches people do on the DYM site – and there are some hilarious ones in there. In fact, first off it would be good to mention that our search on the site is getting a major overhaul and in the next few weeks it isn’t working perfectly. We’re working on it, and in the meantime enjoy some of what you’re searching for! You can see all of our voting/election resources in this subcategory here, but specifically we would recommend the Ultimate Campaign Slogan Quiz or Trump or Animal 2. 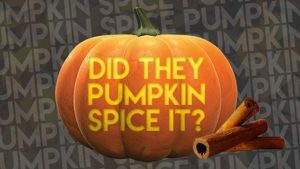 There’s a bunch of Thanksgiving-themed games, sermons and worship nights on this page, but this Pumpkin Spice game is already far and away the best-seller of the month! We’ve got TONS of video training, including some discount bundles and great youth ministry thinkers and teachers. Train your volunteers the easy way and with some super content. So that’s some of what you’re searching for! Stay tuned for more installments in the future!